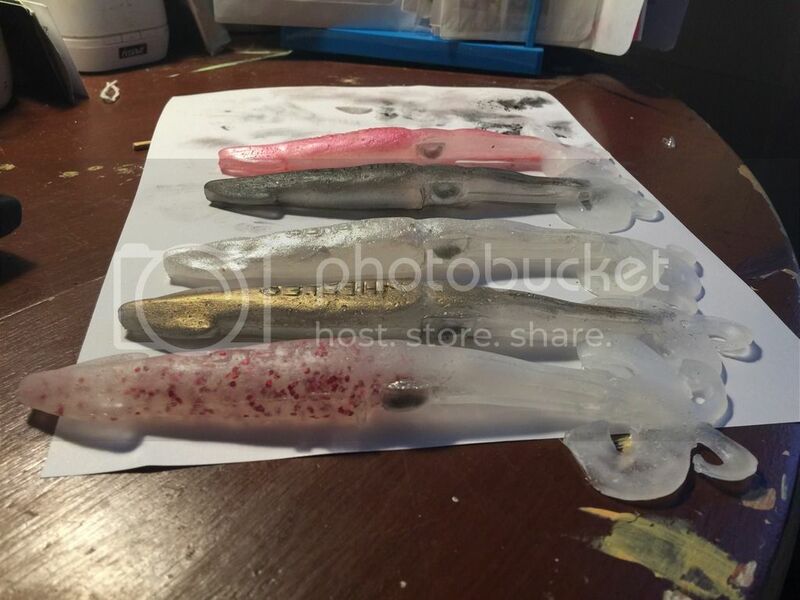 Had to revisit my squid design from last season- while it solved some problems as far as casting distance- I overlooked how much the current would make the bait want to flip. Made the bait more round and cylindrical and bulleted the rigging end of the bait- also added some curls for a little extra action. Used on a 10/0 (1oz) swimbait hook. Looks really cool in the water. Just playing with colors now- I think the plain one with the red flake is my favorite though. 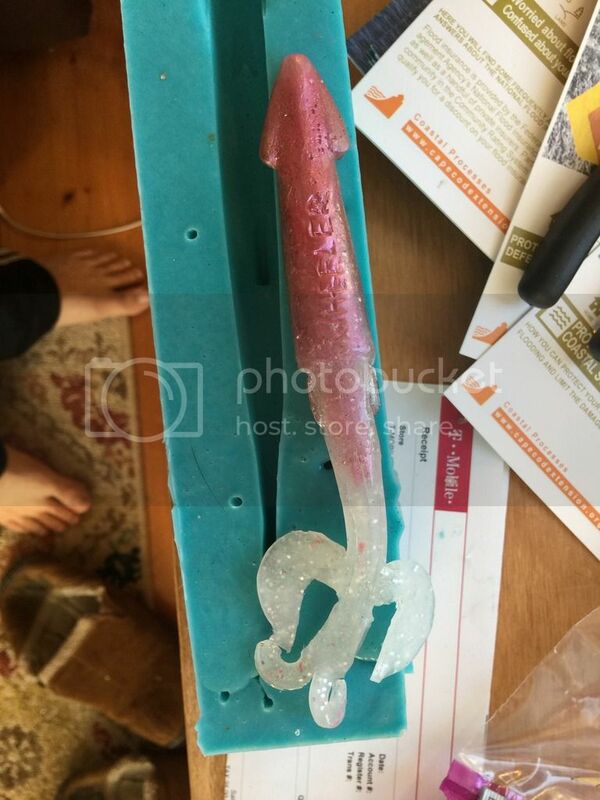 Just kind of looks like a squid getting fired up. In case anyone is wondering how I color the baits I pour them in a pearl base color and then just alumidust- blow off excess dust then paint over it with some mend it- gives a super flexible top coat and the dust won’t rub off- only caveat is it glosses the bait a bit- I prefer it over the dip method because the mend it doesn’t fill in some of the fine detail work like clear plastisol. Just wear a mask mend it stinks to high heaven. those look great!! Love the skirt shape! You are on it! Thanks Larry would love to send you some and get some feedback. Tweaked my mold so the tentacles would face the other way. Last prototype the tentacles wanted to drag- this minor tweak using an exacto knife to trim out some small areas in the mold should do the trick and give a somewhat defensive posture when pausing the retrieve. Still dialing in the mold but they’re looking good. Can’t wait for some stripers to slurp them up.